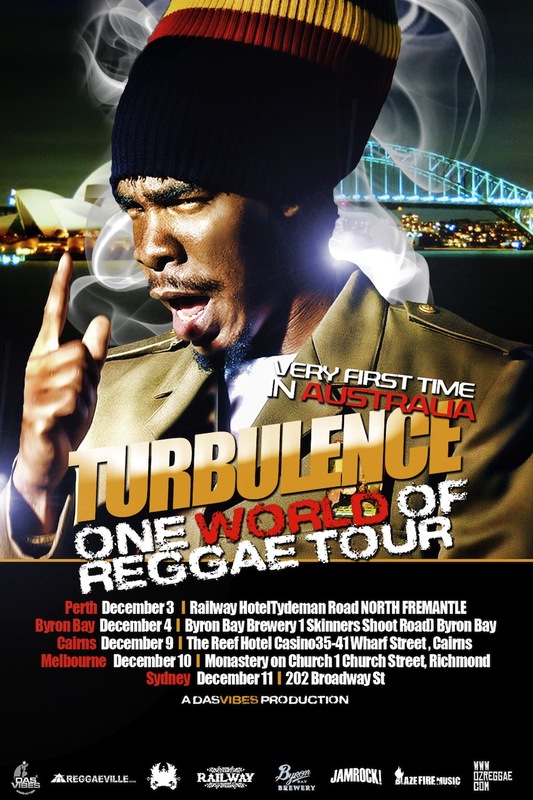 Caribbean Lifestyle Media- Turbulence will join the massive in the outback also known as Australia. 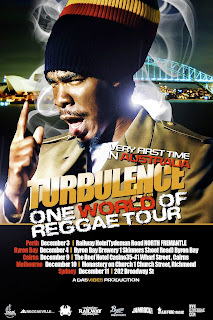 Turbulence is setting off on the "One World Reggae Tour" and the event is being promoted by Dasvibes. DasVibes told us, with hit singles such as "Notorious," "Anything Goes (Major Lazer" and "Name and Number" he has emerged as one of the best acclaimed "Bobo" artists of this generation. Sharing a similar vocal style to that of Sizzla, his strength lies in his rich and powerful singing voice. With influences ranging from Bob Marley to Luciano, he has developed a unique singing and deejaying style.